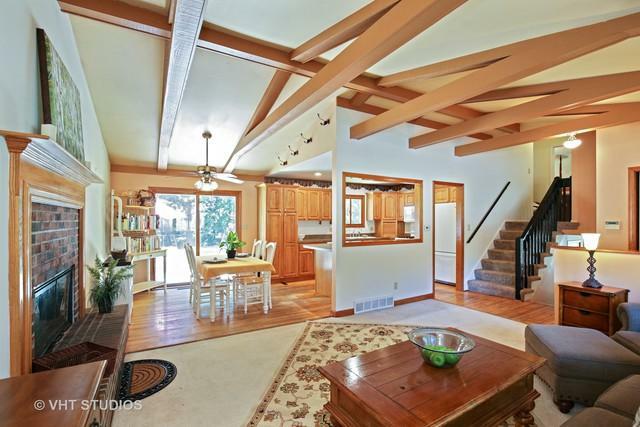 VAULTED CEILINGS ARE CUSTOM TO THIS FLOORPLAN AND THE BEAUTIFUL WOOD BEAMS MAKE THIS 4 BRDM. SPLIT LEVEL HOME TRULY SPECIAL. 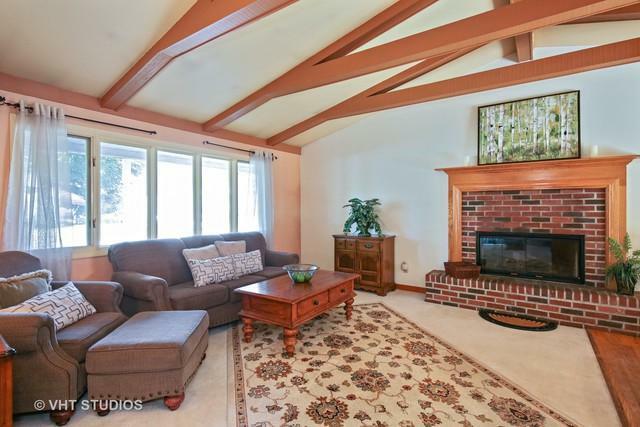 A COZY, BRICK FIREPLACE IS AT THE CENTER, AND CAN BE ENJOYED BY ENTIRE MAIN LEVEL. 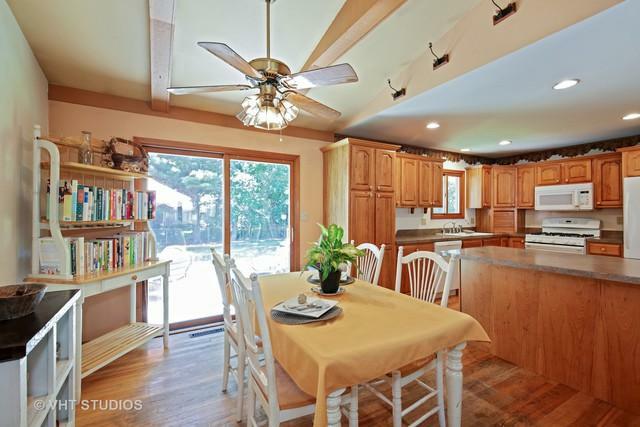 SPACIOUS KITCHEN OFFERS EAT IN AREA AND BREAKFAST BAR. LARGE FENCED BACK YARD HAS PATIO AND ALSO A DOG RUN. 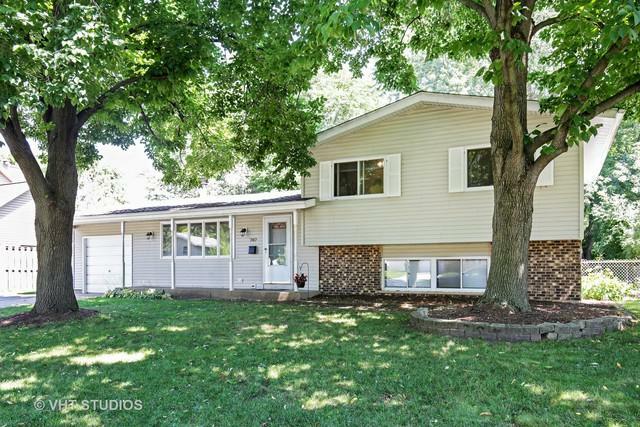 HOME IS LOCATED AT SUPER CONVENIENT LOCATION THAT IS WALKING DISTANCE TO PARK, SCHOOL, SHOPPING AND MUCH MORE.